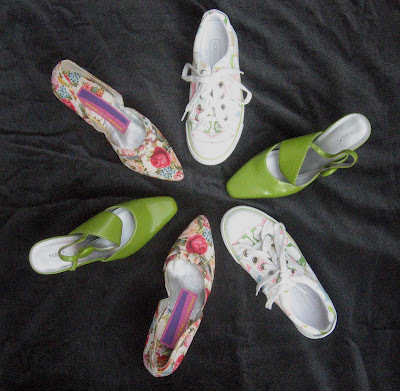 Longing for spring, I've been hoarding impractical brightly colored second-hand shoes. Especially love the flowery pink Barbie pair. So ridiculous. I'll probably wear them once or maybe never. But they are too cute. If I can't walk in them, maybe I can turn them into flower pots. 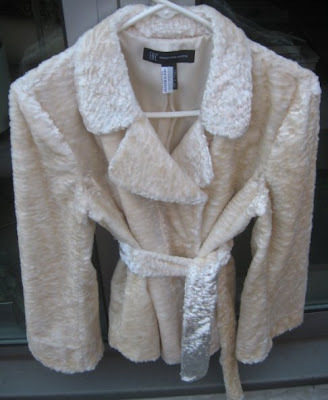 Late winter is a great time to root around for faux fur coats. I picked up this one intending to turn it into a pillow but ended up liking it too much and wore it instead. When I put it on, I feel like I need a little white muff, white hat, white stockings and black patent leather shoes to go with it. I once threw up in a parking lot after a fancy dinner while wearing just such an outfit - I was about 10. On second thought, maybe I could do without the repressed memories and go with a pillow. 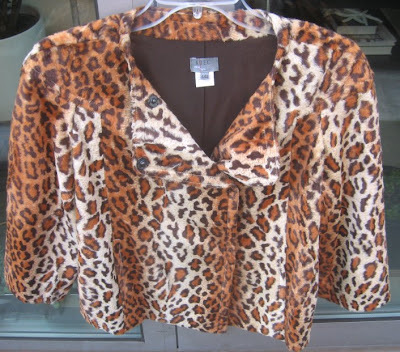 Also picked up this short leopard swing jacket for free. While my mom picked up this one at a thrift store. 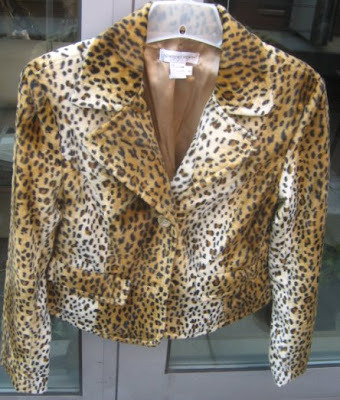 I now possess three leopard jackets, a long leopard swing coat, a leopard skirt, three leopard belts in varying widths and, of course, multiple pairs of leopard shoes, which isn't as bad as collecting, say, dolls or cats but does border on the obsessive and creepy. So I sent one of the jackets to my cousin. 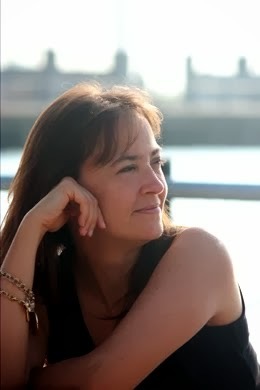 If we're overworking it, at least we'll be overworking it together.